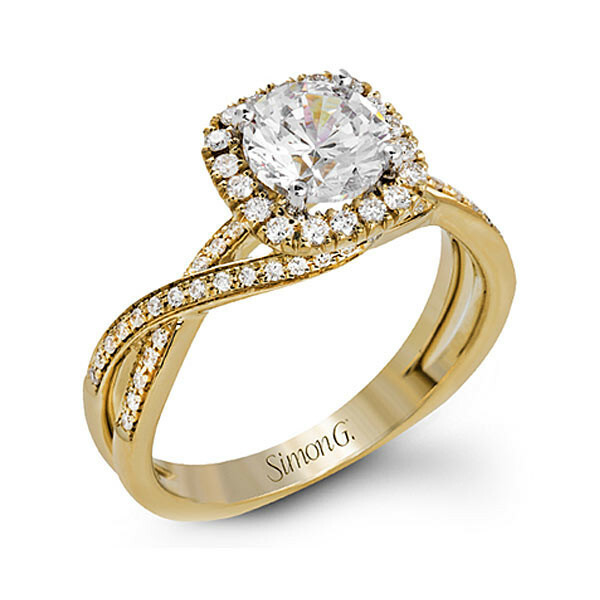 Eye-catching embellishments add an elegance to this Simon G. engagement ring setting from the designer's Fabled collection. 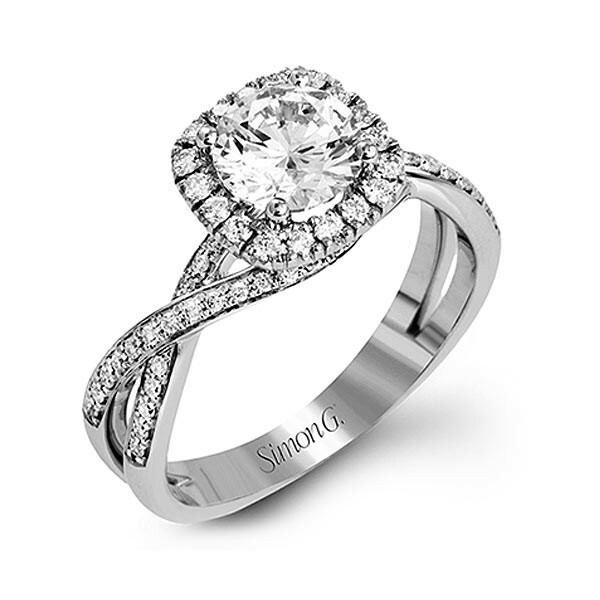 Shown in 18kt white gold, the piece features a halo that will surround your round brilliant center stone that will sit atop a modern twisted band adorned with glittering gemstones. This engagement setting presents a radiant, ribbon-like look.